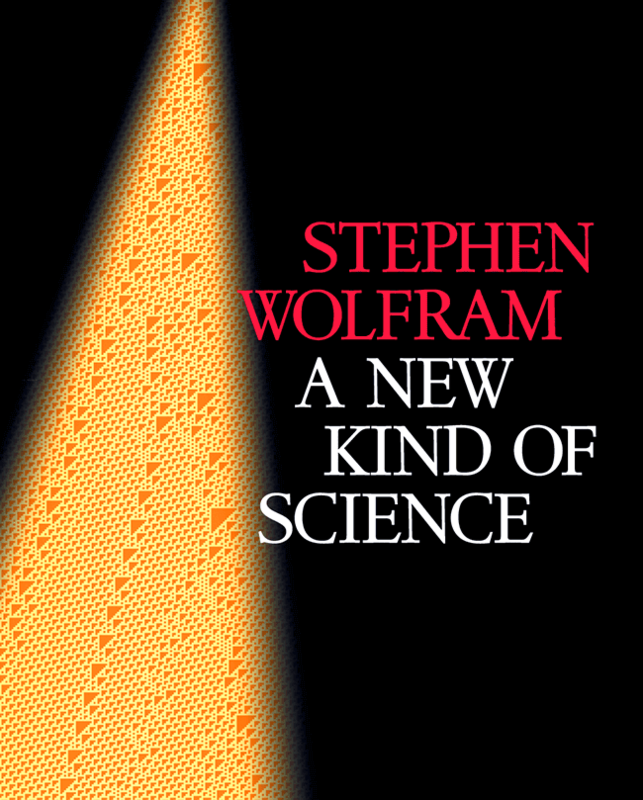 It's been 15 years since the publication of Steven Wolfram's A New Kind of Science, a mindblowing, back-breaking 1,200-page book that (sort of) says the whole universe is made up of recursive fractals, also noteworthy for the frequent repetition of the phrase "A new kind of science" in its early chapters. 15 years later, the book has gone open access, with high-resolution images of its mathe-groovy artwork. Reflecting on a quarter century of inquiry into New Kind's thesis, Wolfram ponders what it all means. But in the past 15 years something remarkable has happened. For now, when new models are created — whether of animal patterns or web browsing behavior — they are overwhelmingly more often based on programs than on mathematical equations. Year by year, it’s been a slow, almost silent, process. But by this point, it’s a dramatic shift. Three centuries ago, pure philosophical reasoning was supplanted by mathematical equations. Now in these few short years, equations have been largely supplanted by programs. For now, it’s mostly been something practical and pragmatic: the models work better, and are more useful. But when it comes to understanding the foundations of what’s going on, one’s led not to things like mathematical theorems and calculus, but instead to ideas like the Principle of Computational Equivalence. Traditional mathematics-based ways of thinking have made concepts like force and momentum ubiquitous in the way we talk about the world. But now as we think in fundamentally computational terms we have to start talking in terms of concepts like undecidability and computational irreducibility. Will some type of tumor always stop growing in some particular model? It might be undecidable. Is there a way to work out how a weather system will develop? It might be computationally irreducible.